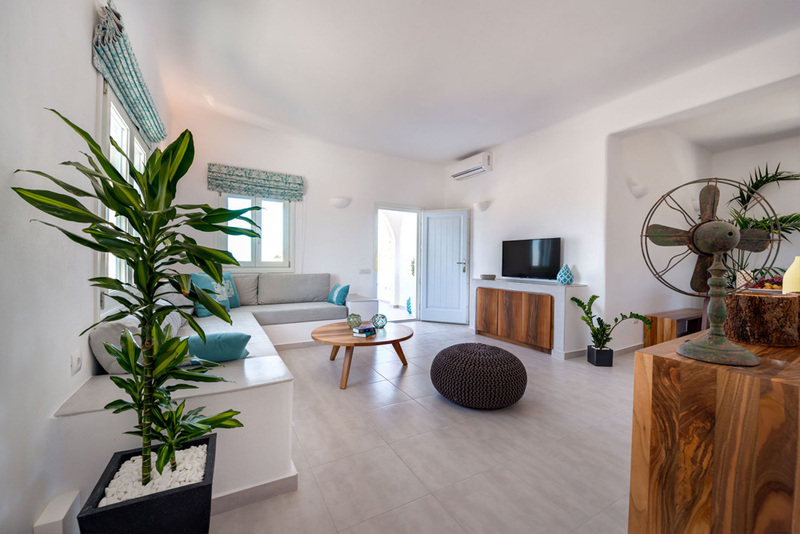 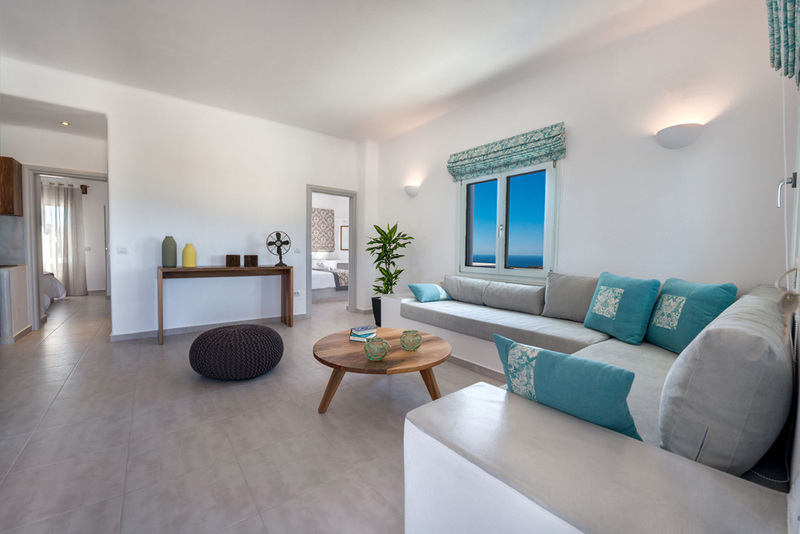 Welcome to Blanca Luxury Villa, in Megalochori village, Santorini! 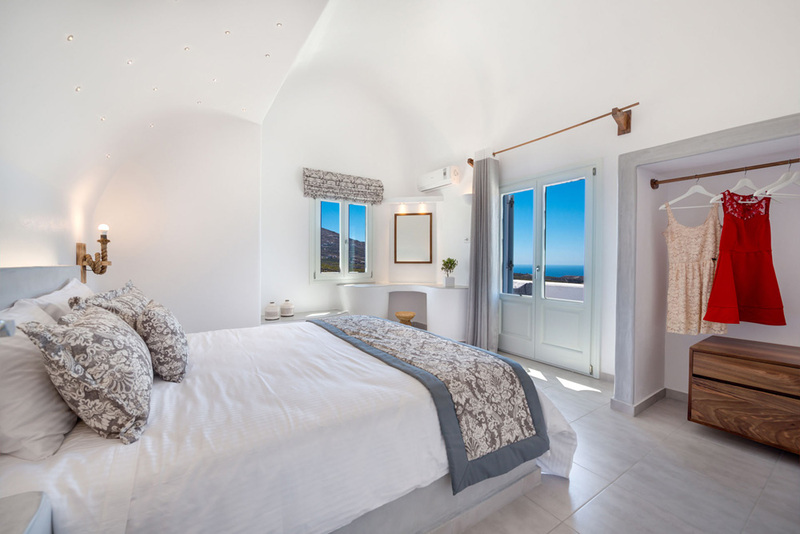 At the highest point of Megalochori, with panoramic views to this Santorini,s traditional village and the Aegean sea, lies Villa Blanca. 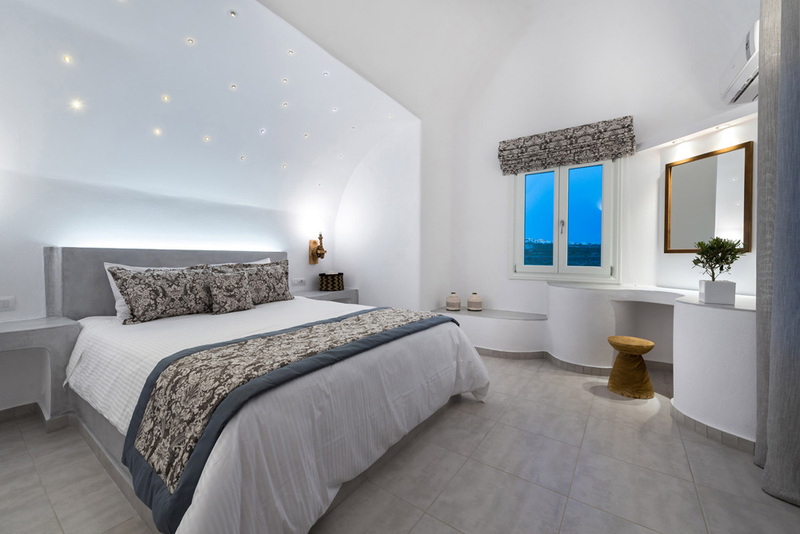 A private brand new villa, built in a traditional Cycladic architecture with modern touches. 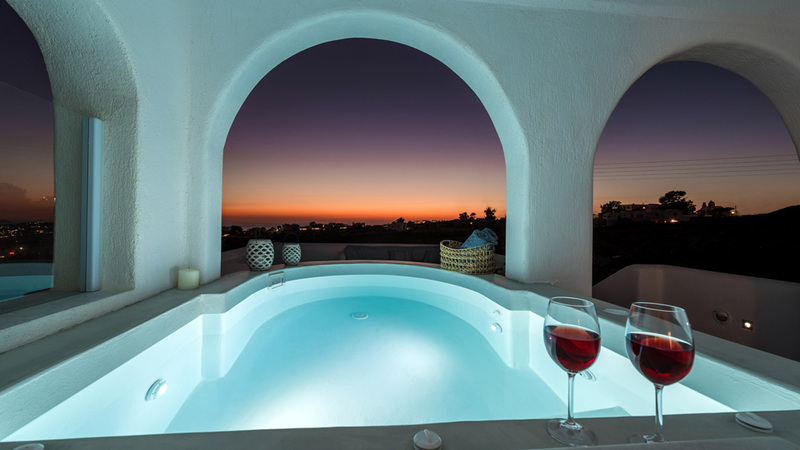 Villa Blanca, located in the center of a 18th century vineyard, is a luxurious residence offering the latest amenities in order to satisfy every guest,s needs. 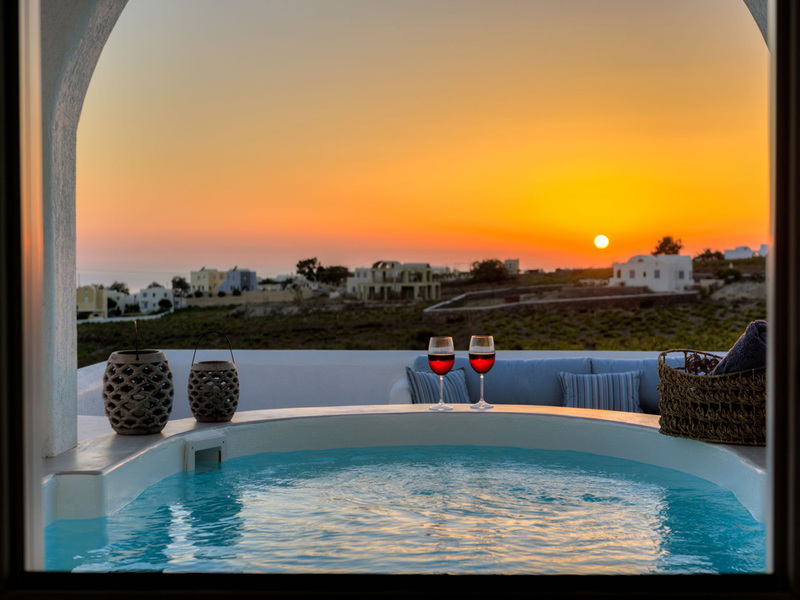 It is situated in Megalochori 6km from Fira, the capital of Santorini island, and 500m form the famous Caldera. 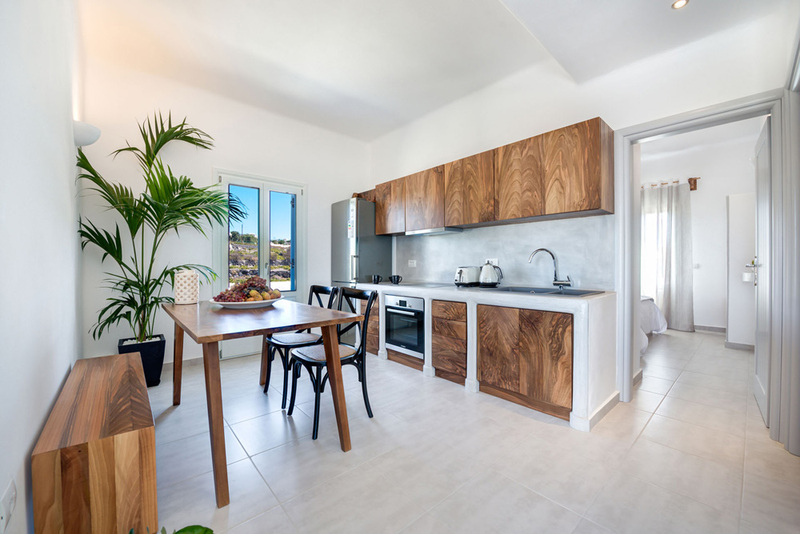 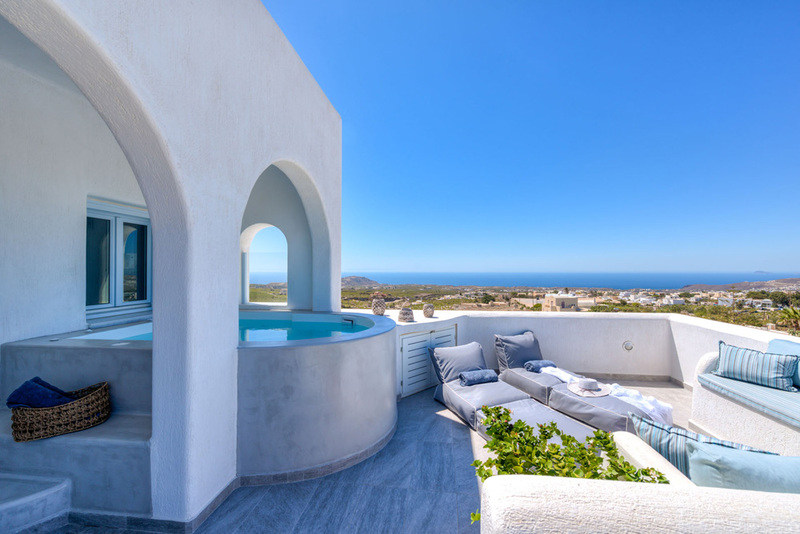 Villa Blanca can accommodate 2-5 people offering two bedrooms, a living room, a fully equipped kitchen and a balcony with jacuzzi with panoramic view to the ocean.